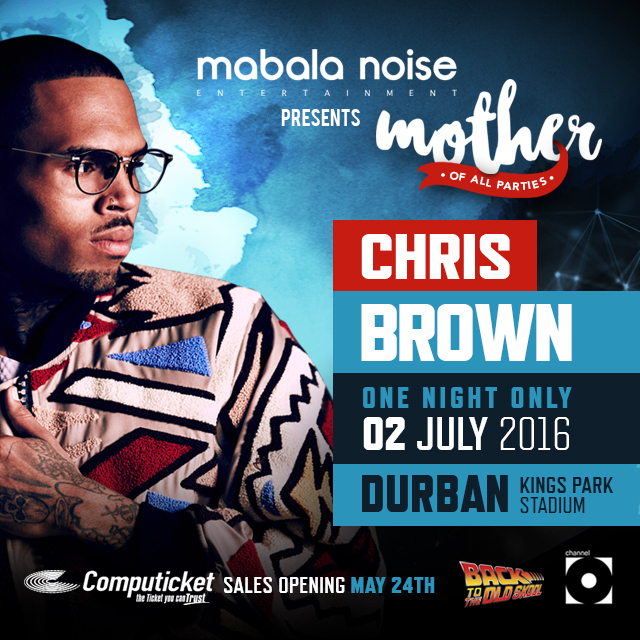 MABALA NOISE ENTERTAINMENT & BACK TO THE OLDSKOOL IS EXCITED TO PRESENT CHRIS BROWN EXCLUSIVELY TO DURBAN OFF HIS "ONE HELL OF A NIGHT" TOUR FOR THE DURBAN JULY WEEKEND. Wednesday 18th May 2016 – Chris Brown is returning to SA for a ONE NIGHT ONLY EXCLUSIVE PERFORMANCE. The multi-platinum-selling, multi award winning sensation CHRIS BROWN will be headlining the MOTHER OF ALL PARTIES in Durban on July 2nd to treat SA fans to his current tour. Brought to South Africa by Mabala Noise Entertainment & BACK TO THE OLDSKOOL in association with Channel O, “Chris Breezy” will headline alongside other International and a long list of local stars at one of the most infamous parties that takes place during the Durban July Weekend. The Durban July’s popularity has grown to prove it’s the busiest weekend in the city all year. The concert will take place on the 2nd July at the Kings Park Stadium Outer Fields expecting to attract over 15 000 concert revelers. ‘Chris Brown is by far no stranger to South Africa having successfully toured the country in 2012 for the Carpe Diem Tour and again in 2015 for the ‘Chris Brown X Tour Live’ said Sam Sekgota frontman of Mabala Noise Entertainment . 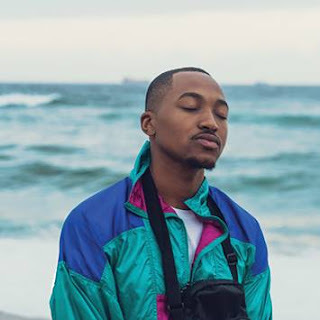 ‘We look forward to yet another spectacular showcase of his talent in the city of Durban’. The full line-up will be announced over the next few weeks via the various media channels.